Maybe, and add to the fact that Moulin Rouge!, a Best Picture nominee of the previous year, propelled the renewed fascination of Hollywood to musicals. With that man named Harvey Weinstein who secures his films a nomination if not clearly a win, this became the clear frontrunner even if it feels more like a dark horse (delightful films always need the right timing to be a favourite for the awards). It also has the nostalgia factor that works quite well to the members of the Academy (old Caucasian male rule the population of the members, so that helped also). The film is about Roxie Hart, a housewife that dreams in becoming a vaudevillean. She idolizes famous performer Velma Kelly, who eventually was arrested for killing her sister and husband. The same fate also gets Roxie when she shot the man he was fooling around with for lying to him of giving her a career on stage. This leads her to the County Jail where she meets four other women in the Murderers’ Row. In the process, she also meets the approachable but money-loving warden Matron Mama Morton. Befriending her, she is led by Mama to the lawyer who has never lost a case – Billy Flynn. They use Roxie’s charm and media manipulation to prove that she is innocent, furthering the anger and envy Velma experiences as Roxie becomes the sweetest girl ever accused of murder in Chicago. The film is all about manipulation and deception, and the thing is, the film was able to find the morality to the story for the characters to effectively convey the enjoyment that they have despite these certain things. We enjoy the film, especially the biting humor, thanks to the very well-written and witty screenplay, but the film never forgets that behind all the fun that we have is a dark story, a story about people who succumb to the loss of morality in return of fun, and with the case of the two lead characters, stardom. Velma and Roxie, excellently played by Catherine Zeta-Jones and Renee Zellweger, respectively, manipulate the people around them to get what they want, but in the end, they suffer from each other’s actions. It is this turn of events that make the film both an exciting movie and an effective display of the irony of life they were led to. But aside from that, the movie being a musical based on a Broadway play, the film also showcases musical numbers that range from heartbreaking (“Mr. Cellophane”, achingly rendered by John C. Reilly in an appropriately modest performance) to playful (“When You’re Good to Mama”, sung by the ever-talented Queen Latifah) simply breathtaking (“Cell Block Tango” first comes to mind). Each of these musical numbers is executed in a stylish and innovative fashion that none of them seemed repetitive. It is very much surprising that a musical that gets the traditional treatment of filmmaking, unlike previous year’s Moulin Rouge!, be as enthralling and exciting as this one. The key to that is the apt direction of Rob Marshall, whose handle to each scene exemplifies sheer craftsmanship and control. Also in display is the dazzling cinematography which captures each scene with glamour and darkness. To go with that is the editing that makes the film, especially the musical scenes, the breathtaking splendour that they are. Nothing much can be said about the music, except that it is very good, with a lot of catchy tunes around. The costume design puts each character into a sense of the beautiful past with restraint and bedazzlement. Also, the production design is indeed worth mentioning for recreating the setting with attention to detail and aesthetics. 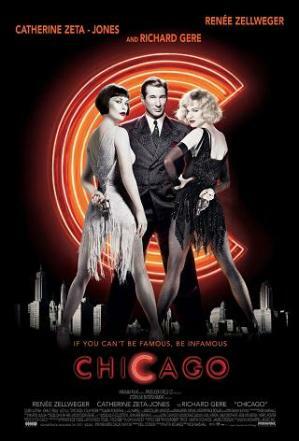 Chicago is a film that I have seen a lot of times, and I would not mind if I will see it again for a lot of times. 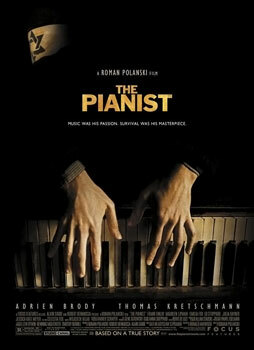 It is not only an extremely engaging musical experience that never dragged, but also a movie that never neglects to treat its subject matter with sensibility and dark but appropriate comedy. It is an energetic ride that I will never become used to. 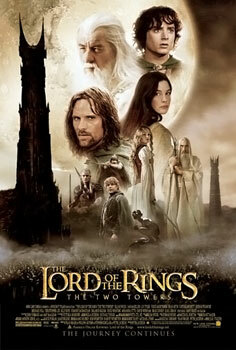 It is a movie that deserves to be called an experience. So, this is the next year. Well, some really love this year., and it really seems like a strong year. Before I decided for this year, I have only seen two of the nominees. I have seen one nominee when I was like seven years old, but barely remember anything about it, and it was incomplete viewing so that doesn’t count. Would it be the courtroom musical? Or the period gangster? Or the multi-linear drama? Or the epic fantasy sequel? Or the Holocaust drama? By the way, two thing to tell you. First, you all know I’m using Meryls as my way of rating. However, since Meryl already won her 3rd Oscar for her performance in The Iron Lady, I feel compelled to update the rating system. 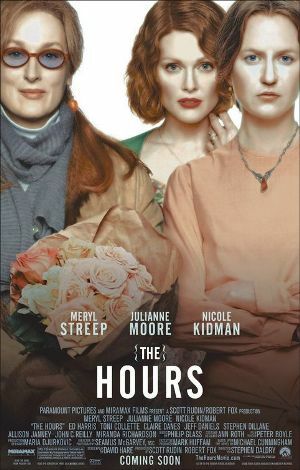 So, still Meryl, but new ones! Second one, if you put your list of predictions ranked, and you got it right, you will have the privilege of choosing the next year (but I’ll still give you the choices). 🙂 So, if you’re interested to be able to choose the next year, you may predict below. Just drop your comments.